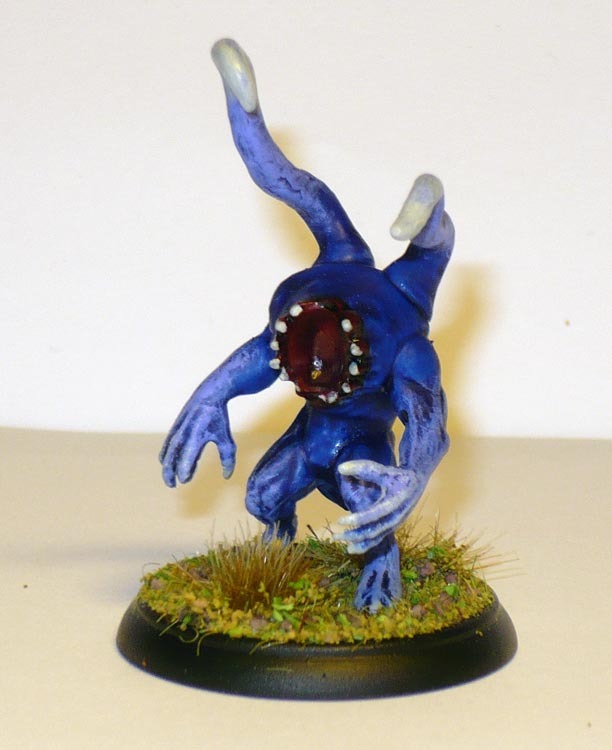 February Painting Resolution, chapters 11-13, plus new look DreadBall bases! The Brimstone Strangler! 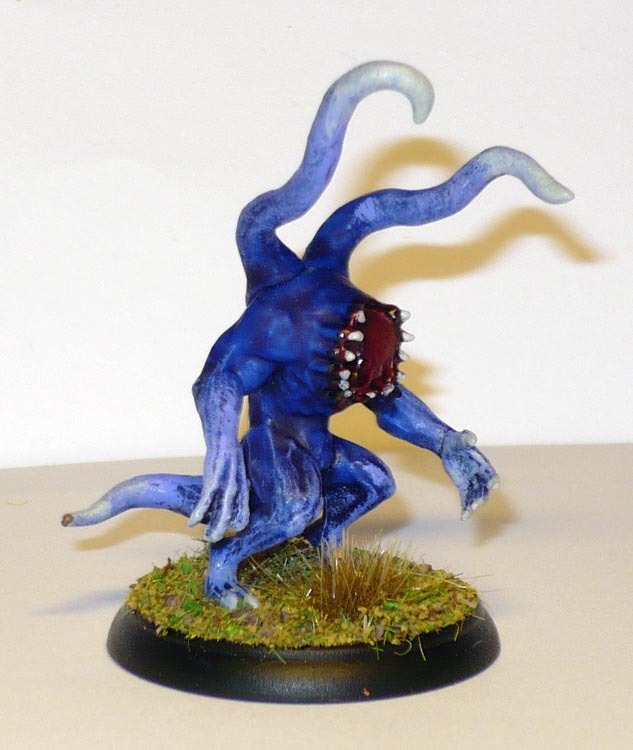 Not a Blue Horror at all. No, sirree! 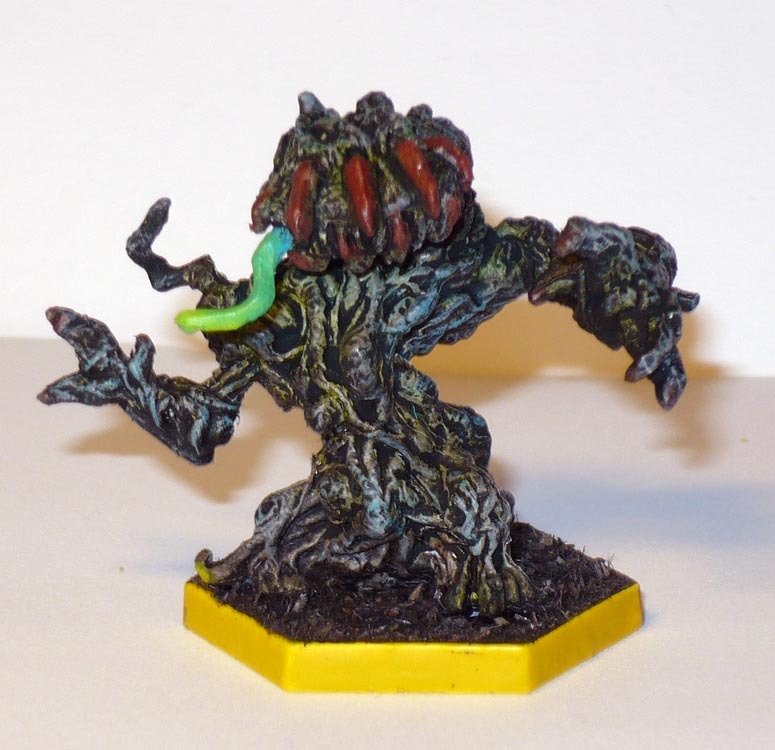 The Strangler is one of the weaker Void monsters from The Shadows of Brimstone: City of Ancients board game. I quite like these chaps. They are both chewy and strangular! And eminently usable in a variety of roles in a variety of games. And there are six of them in the set. The details are a bit soft, but perfectly serviceable. 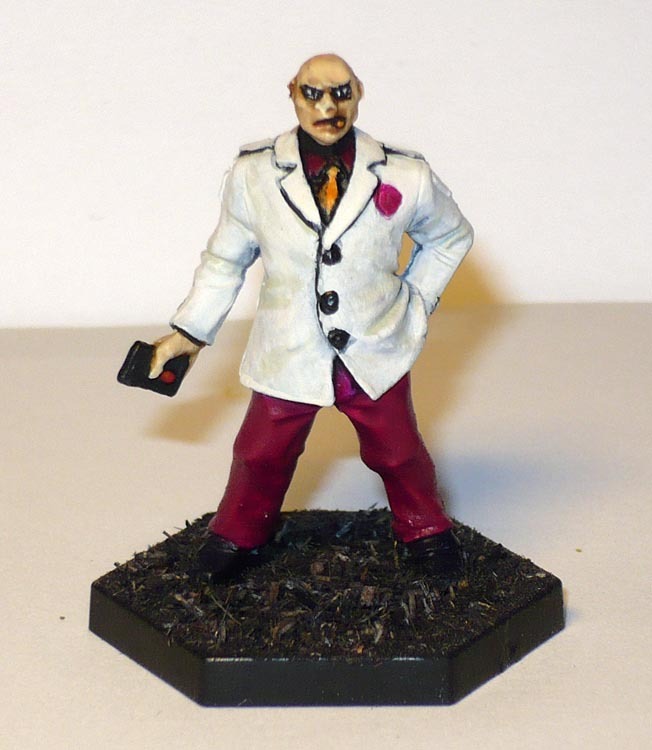 25mm base, hard styrene / HIPS plastic. For those who do not know, All Quiet on the Martian Front is a relatively new game made by Alien Dungeon, written by Rick Priestly, Alessio Cavatore and Ernie Baker. It was kickstarted about two years ago, and have delivered two massive waves of product, with a third still in yet to come. The setting is ca. 1910. The second Martian Invasion (the events of the first was described in the novel The War of the Worlds by HG Wells) has taken place, and half of the USA has fallen to the implacable Martians and their damnable tripods. The game is 15mm (more like 18mm) scale and features American steam-driven early tanks, motorcycles with tow-hooks, dougthy doughboys, and Land Iron Clad Battleships in desperate battle with the Martian Tripods for dominion of the Earth. Plus the British Expeditionary Force lending a hand with their more advanced weaponry, retro-engineered from the martian tech left behind when the germs killed off the first invasion some years earlier. My first base of Human Prey, which are Fleeing Civilians ca 1910. Apparently the dominant female fashion of the well-to-do in the US of that era was rather austere and muted colours. Nothing to gaudy. In game the Human Prey don’t really have any specific functions they are not part of any army. They are however great as objectives for scenarios. The Red Weed is some red (actually a rather too bright orange) clump foliage / torn up bits of colored foam. 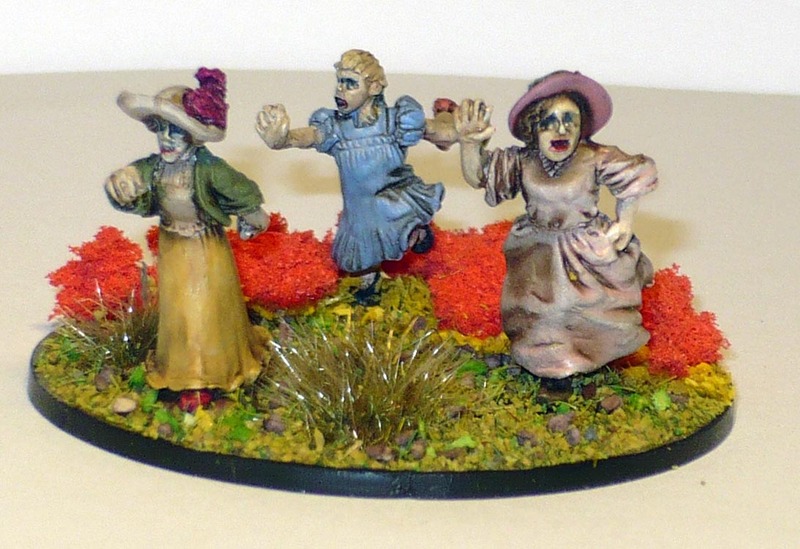 15mm scale metal minis on a 40mm base. 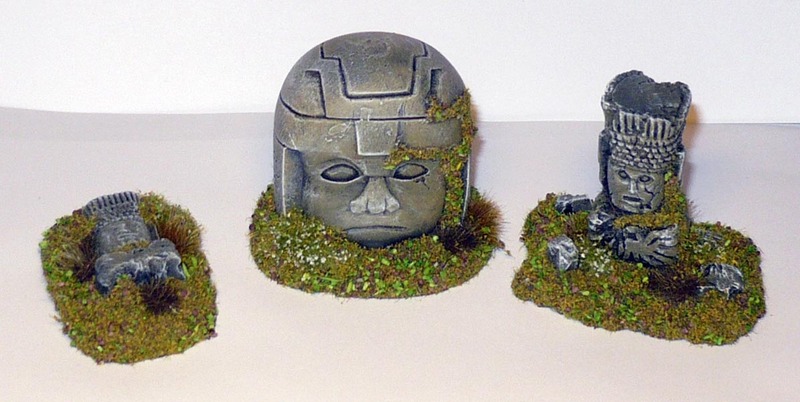 Some old Olmec Ruined Heads I had lying around. I seem to remember that there was a fourth piece to this set, a taller version of the totem-thingy. I could not seem to find it. In the late 1990s the small Scottish company Grendel Productions made a lot of great scenery items in resin (and also a great Fantasy game called Leviathan that featured massive resin Orc Dinosaur-like Beasts, Elven Demons (elves were not particularly good natured in that world), human barbarians riding giant hogs, and Dwarven Steam-Mechas and such. Ah, the fun we had! Grendel went bust over something like printing massive amounts of boxes for a certain very well known card game, and not getting paid. Typical, as all good things must come to an end. Nowadays I think many of the items are still available from “Scotia Grendel”. I bought a lot of their sets back in the day, some of which are still unpainted. I intend to rectify this. I had originally intended to paint up a nifty watch tower from Grendel rather than these, but it was leaning quite a bit, and broke while I tried to do a quick fix. Now it will need a slow fix instead. Including but not limited to a built-up base to fix the worst of the leaning. These are painted using “Cavern stone” three colour acrylic paint set from Paintworks, a one-man paint company I supported on Kickstarter a while back. Their gimmick was making paint sets specifically for terrain. The paint seems quite good. I am quite pleased with the result, and am looking forward to trying the paints out on some more stuff. Bonus: DreadBall bases sporting a new look! I have long been debating myself what to do with the DreadBall bases, as there were unsightly gaps around the integral bases of the minis when I used the hexagonal bases. I tried to fill them and paint the bases black, but it still was not a pretty sight as I could not sand properly around the feet of most minis, ruining the smooth effect. So now I have used black scatter material. Even though the pitch is supposed to have a smooth surface, I think this just works better on the minis. I will keep this style going forward, and maybe even redo all the bases of my finished Zzor, Robots and Zee teams. 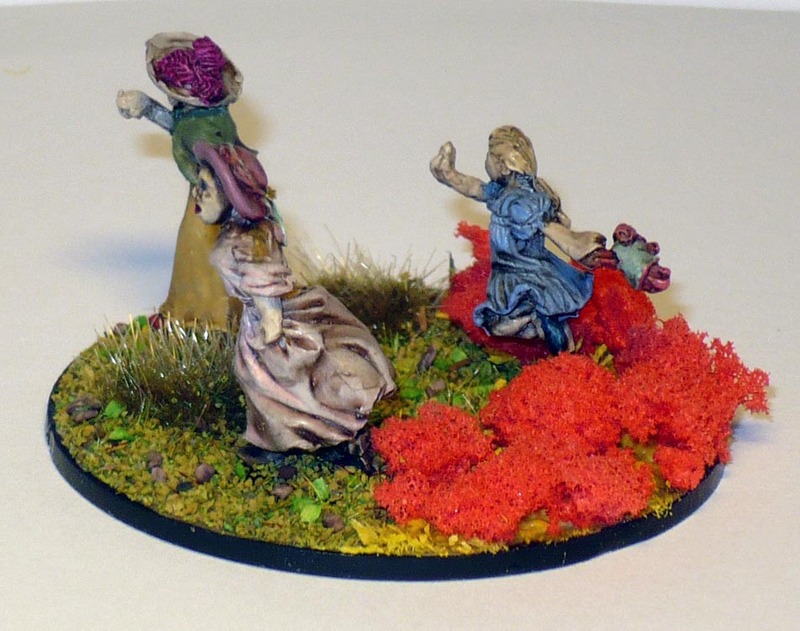 PreviousFebuary Painting Resolution, chapters 9-10, plus bonus figures! NextFebruary Painting Resolution, chapter 14. That’s all folks!